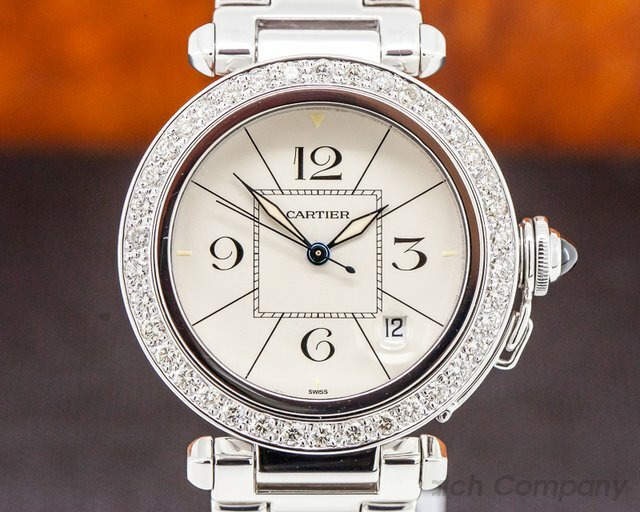 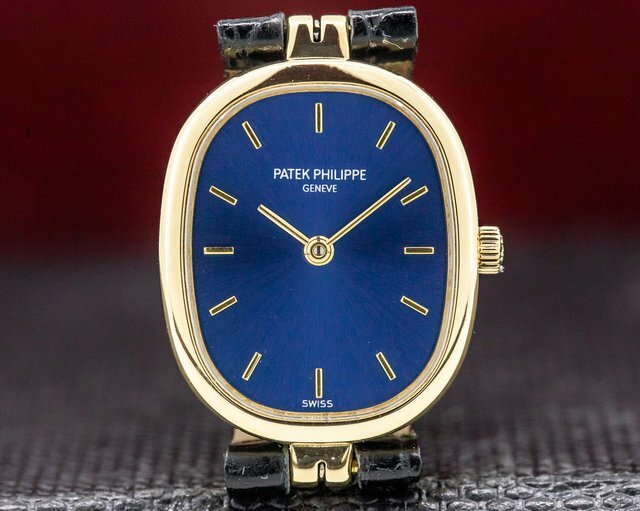 New and Used Ladies Watches Watches at European Watch Co.
30929 Patek Philippe 4764 Lady's Golden Ellipse, 18k yellow gold on a strap with an 18k yellow gold tang buckle, Patek Philippe E15 quartz movement, midnight blue dial with applied yellow gold hour markers, yellow gold baton hands, size: 19.5mm x 23.5mm, thickness: 4.7mm, sapphire crystal, water resistant, Like New with Original Box and Papers from May 1989. 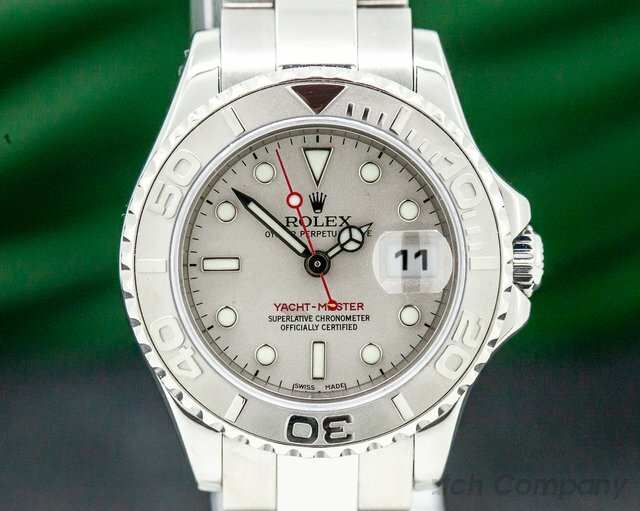 30914 Rolex Ladies Yacht Master 169622, stainless steel on a stainless steel Oyster bracelet, automatic movement, date, centered sweep seconds hand, COSC, platinum bezel and dial, D series (2005), diameter: 29mm, thickness: 10.5mm, sapphire crystal, water resistant to 100 meters, Like new with original box, receipt and papers dated May 7th, 2006. 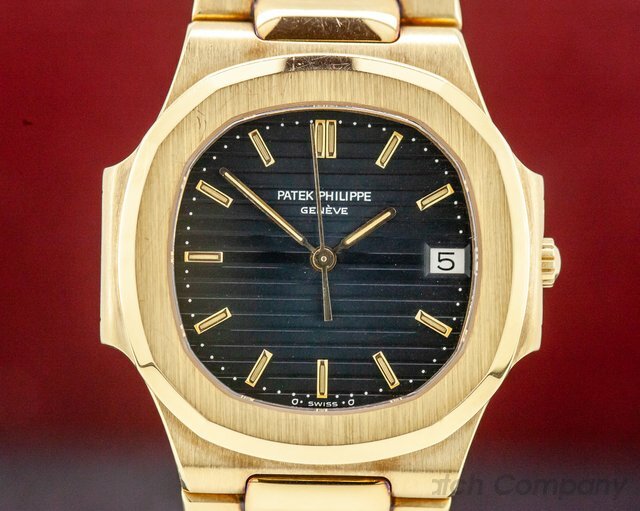 This watch was just fully serviced. 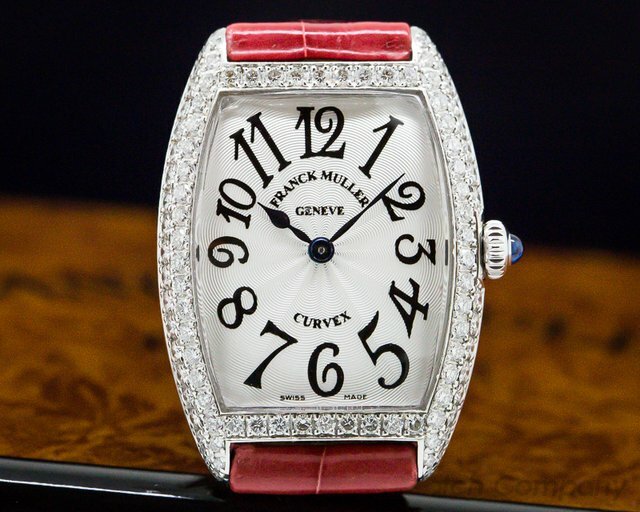 30712 Franck Muller Cintree Curvex "Sunset"1752, 18k white gold on a strap with an 18k white gold buckle, diamonds on the bezel, case and buckle, silver guilloche dial with Arabic numerals, sapphire crystal, sapphire crown, diameter: 25 mm x 35 mm including lugs, thickness: 7 mm, water resistant, Like New with Box and papers (undated).